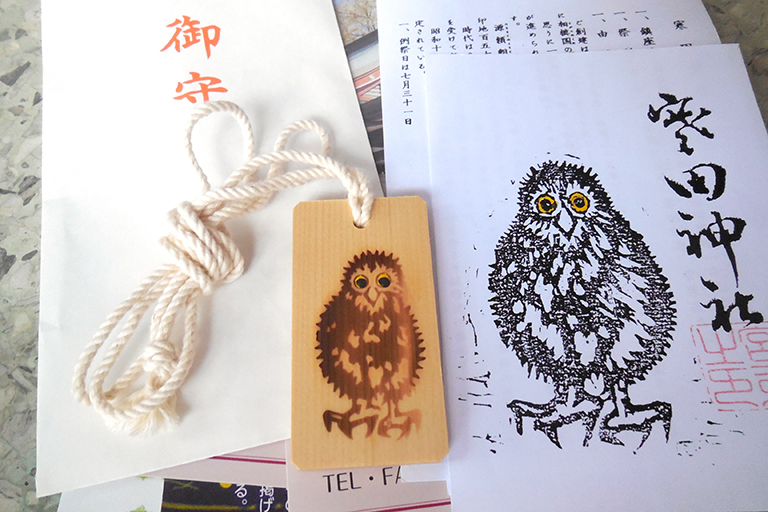 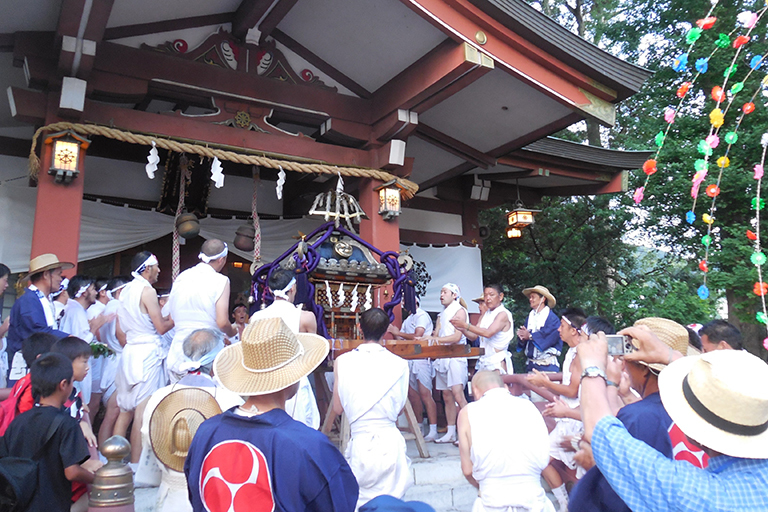 ‘Misogi’ (lit: purification ceremony) is a Shinto ritual that has been passed down since ancient times and is called o-misogi by the shrine’s visitors. 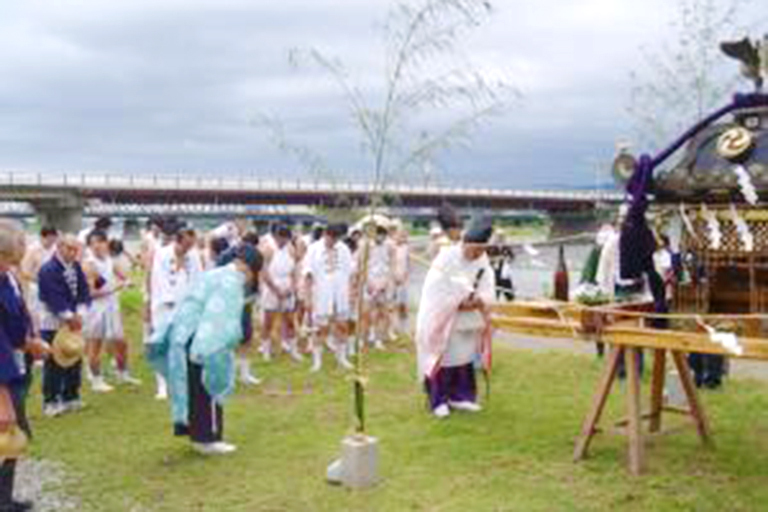 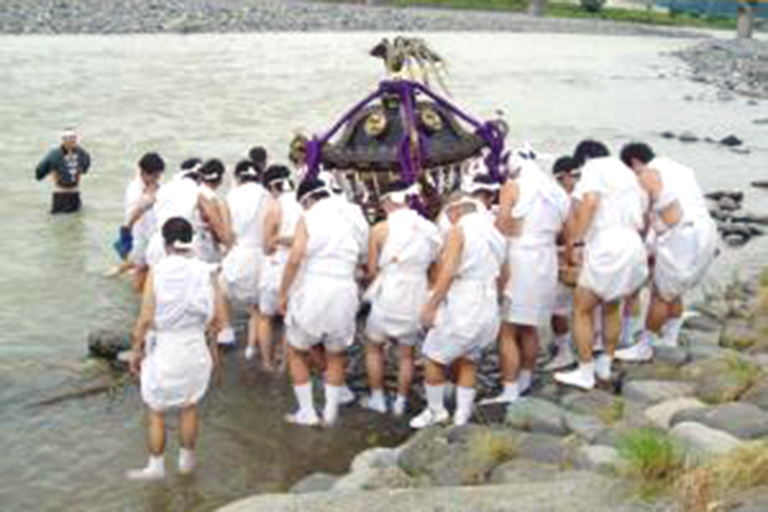 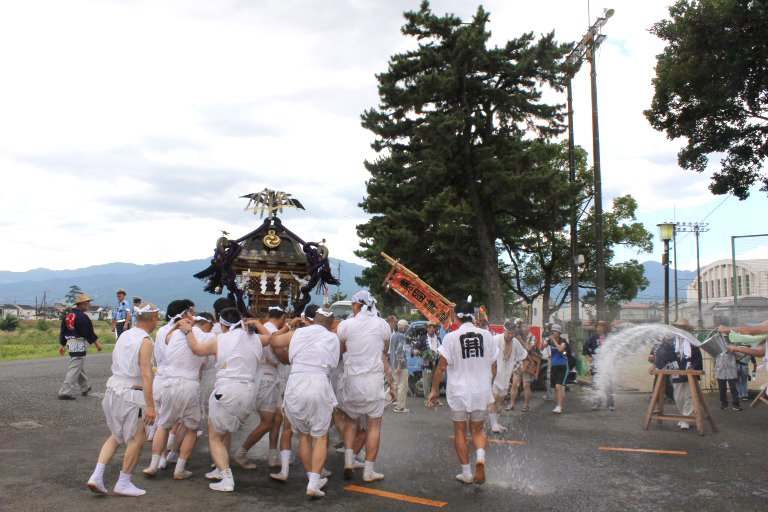 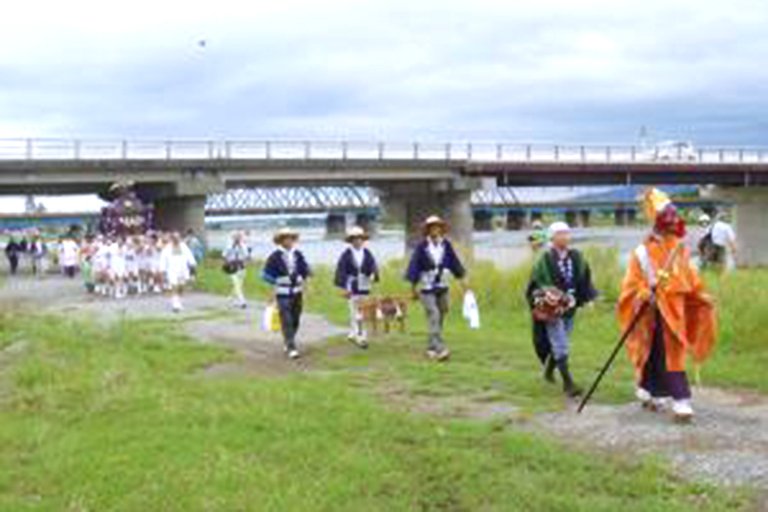 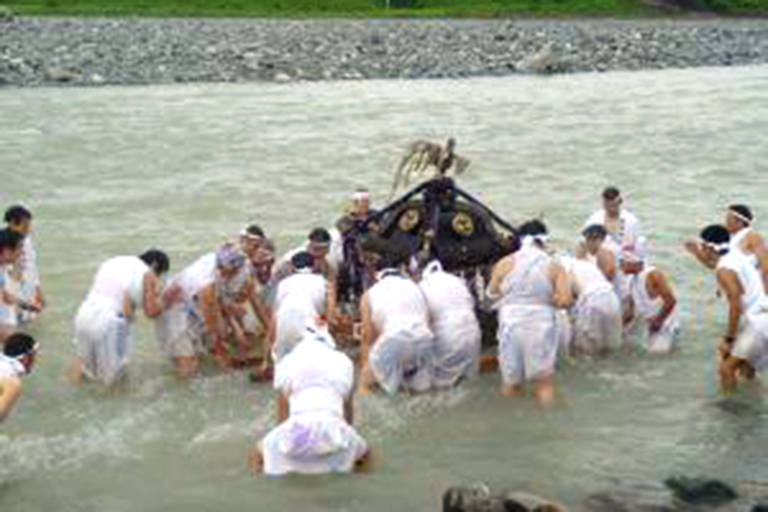 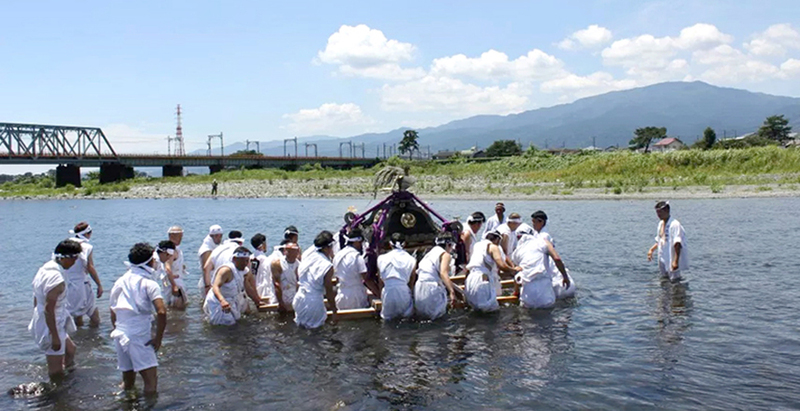 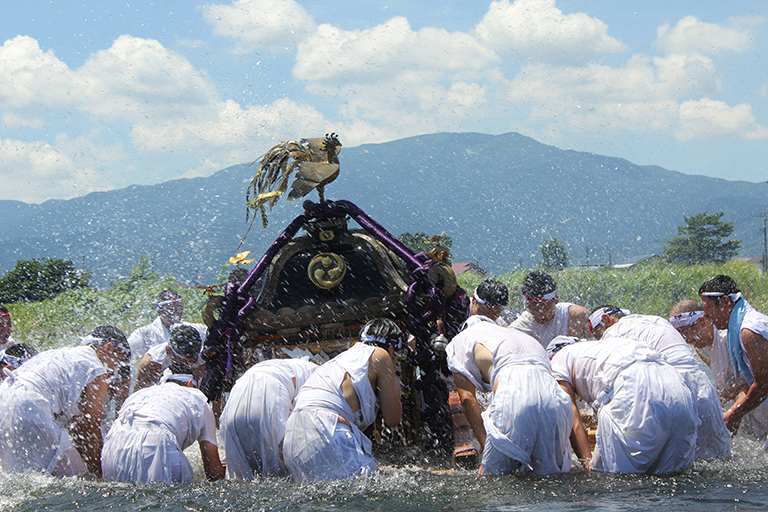 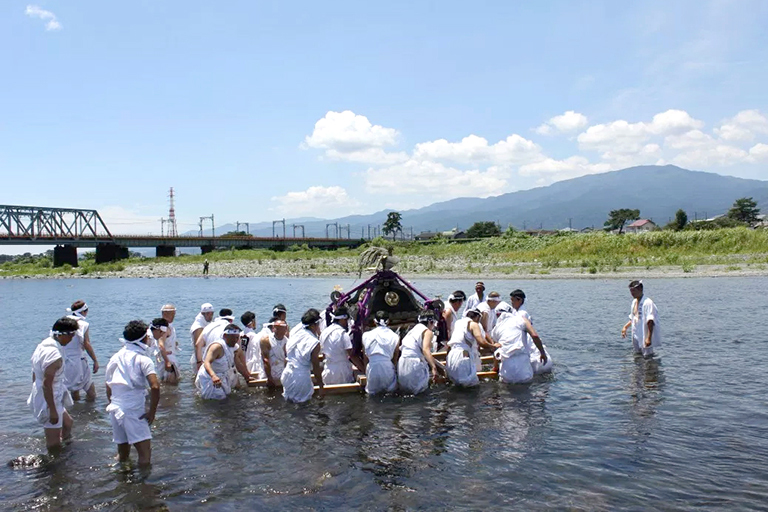 The mikoshi is carried from the shrine grounds through Sakawa River and into the town. 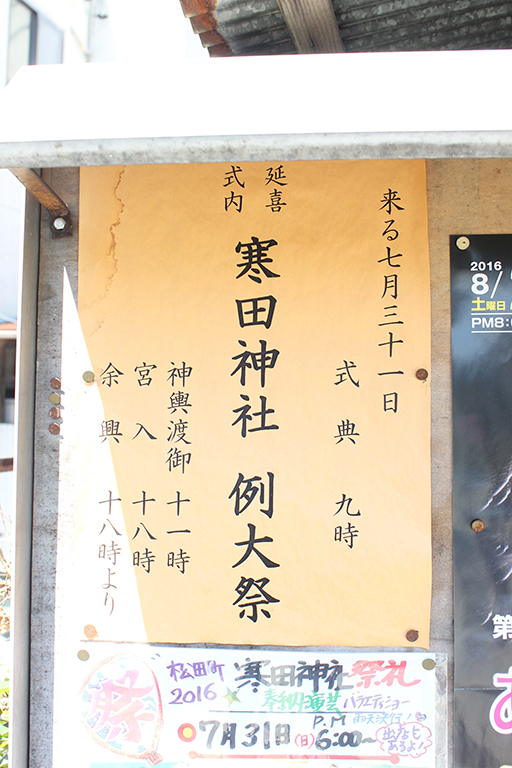 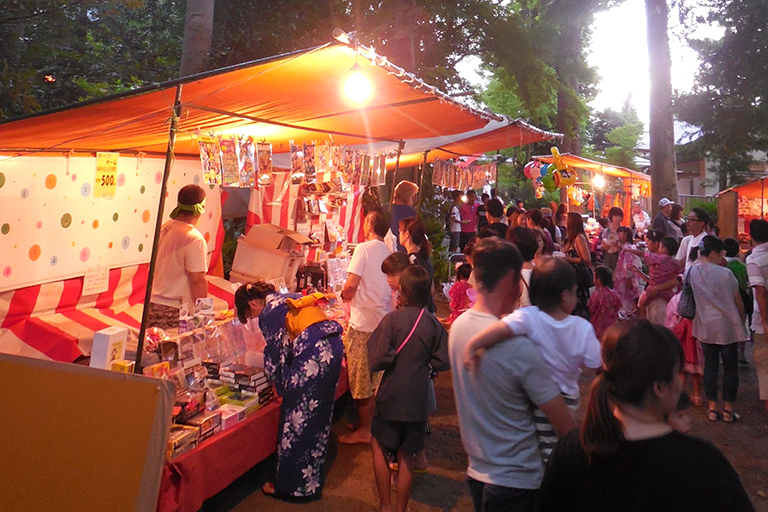 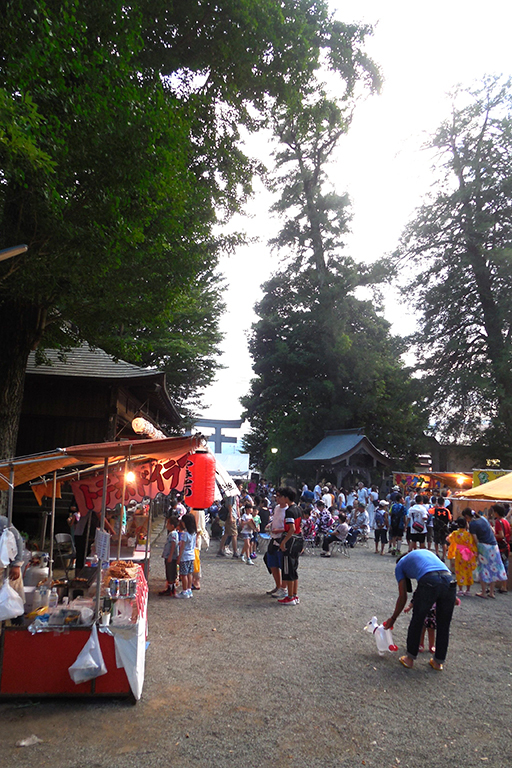 This famously draws a great number of visitors who come to worship the shrine.